GFS kicked off this fall with two bountiful, joyful events! 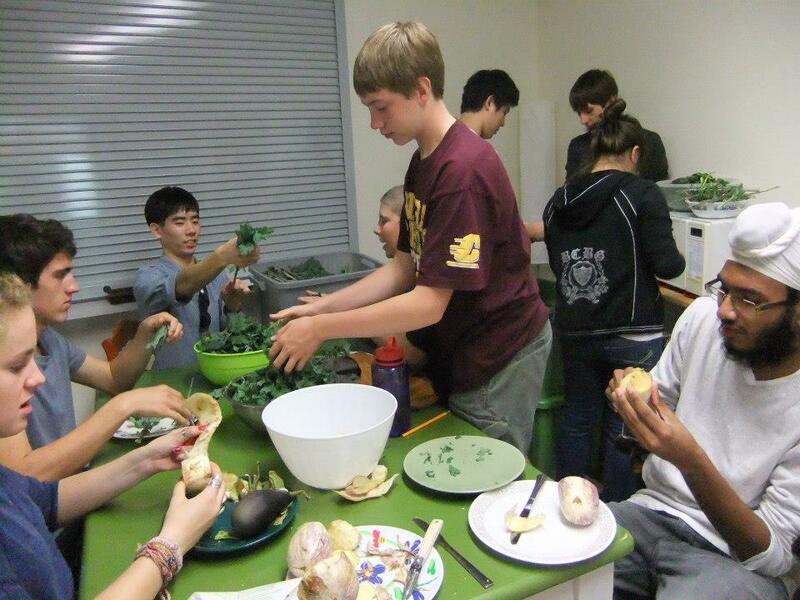 On October 15th we worked with the MHS Ecology Club to put on the 8th annual Organic Dinner. It was really exciting because this was the first year the meal included produce that was grown in the school gardens. As has become tradition, The Roman Candle Pizzeria catered the main course, which was a pasta dish containing our veggies, Clasen’s, a local bakery, provided bread sticks, and the Chocolate Shoppe donated ice cream. In order to have enough fresh veggies in the middle of October, a few weeks ahead of time we harvested a bunch of kale, onions, peppers, and eggplant and blanched and froze them so we could have fresh veggies, in the pasta dish. We also harvested kale the day of the event for a fresh kale salad. Between the dinner and the silent auction, the event raised $1,400 which will be split between the Ecology Club, the school’s Envirothon team, our program Growing Food and Sustainability, and the Friends of Pheasant Branch, the stewards of our local nature preserve. It was a really great experience to work with both of the high school Ecology Clubs on the Organic Dinner. There was a lot of fun to be had harvesting the veggies and I think the experience of creating a delicious, sustainable meal to serve to their teachers, friends and family was really rewarding. Our second dinner was the Slow Food Family Dinner night where Natalie and Gabrielle were the guest chefs. Through a service-learning project, two high school students helped to design a seasonal menu for this on-campus fundraiser. They came up with recipes for a sesame kale salad, root vegetable ratatouille, Italian peasant bread, and cranberry apple pie. 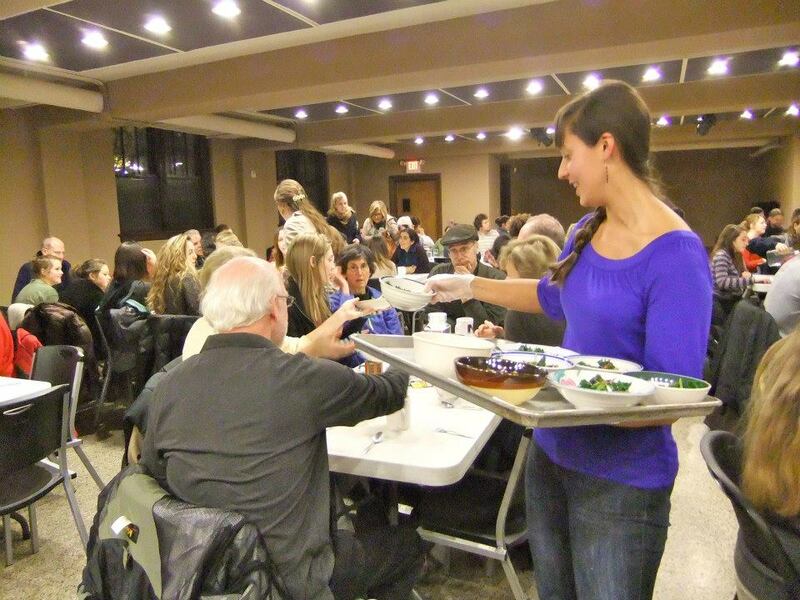 120 people were expected to attend this dinner, so we had a lot of work to do! Gabrielle, Natalie and two Slow Food interns shopped for ingredients at the Farmers’ Market and Willy St. Co-op. It is a little strange purchasing that amount of food! We bought the Co-op out of eggplant and cleared a market vendor out of potatoes. 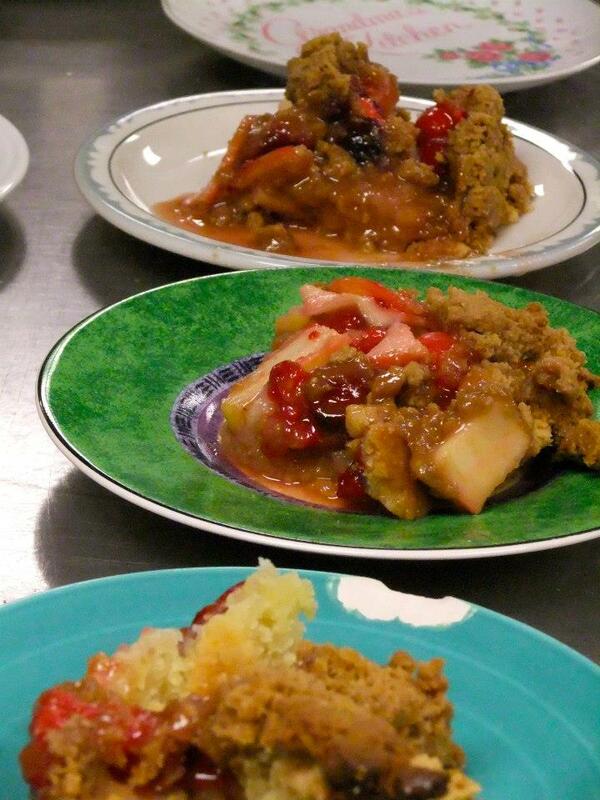 Then we spent many hours (with the help of many volunteers) chopping and roasting the veggies, blanching kale for the salad, mixing and baking the bread, and preparing the cranberry apple pie. The meal turned out great and the dinner was a huge success! Working with Slow Food UW was fantastic. 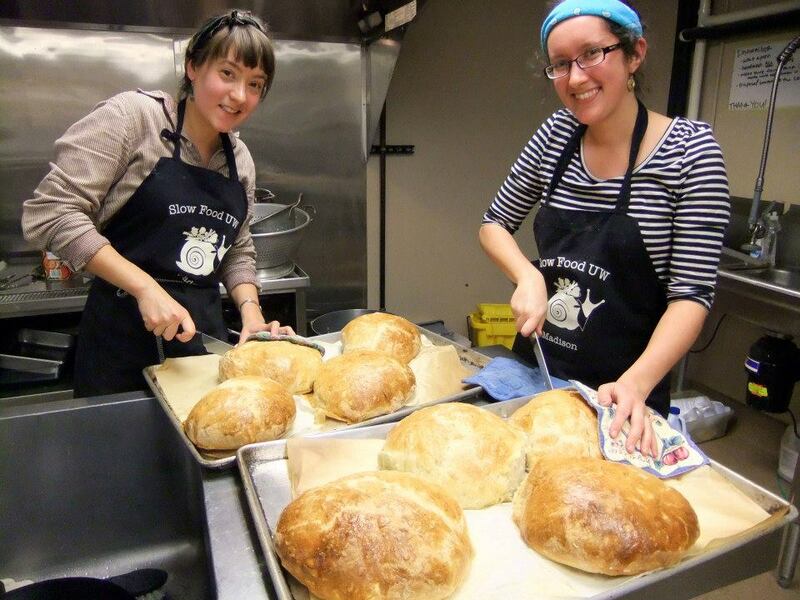 They are a great group of students who are dedicated to putting on a local, sustainable meal every Monday night for the campus community. It is so impressive that they do this every week because after helping with just one, we were wiped out! A huge thank you to our interns, Sara and Caila, the Slow Food Interns, and our dedicated volunteers like Morgan who helped us put on these events! And, as always, thank you to our friends and family who continue to support our program! This entry was posted in Local Programs, Summer of Solutions and tagged community, dinner, fundraiser, Middleton by growingfoodandsustainability. Bookmark the permalink.